Fourth graders are changing rapidly; becoming nine years old presents many challenges to your students. Stressful, emotional days with equally exuberant, satisfying days can make this grade level demanding for even the most experienced of teachers. As fourth grade students struggle with rights and wrongs, peer pressure has become a strong influence. This is not to say these influences are all negative but parents and teachers must be aware and must maintain their efforts of being the trusted role model this age group still needs to rely on. Educators are looking for a character program that stresses honesty and respect for authority, how to choose friends and recognize the difference between positive and negative role models. 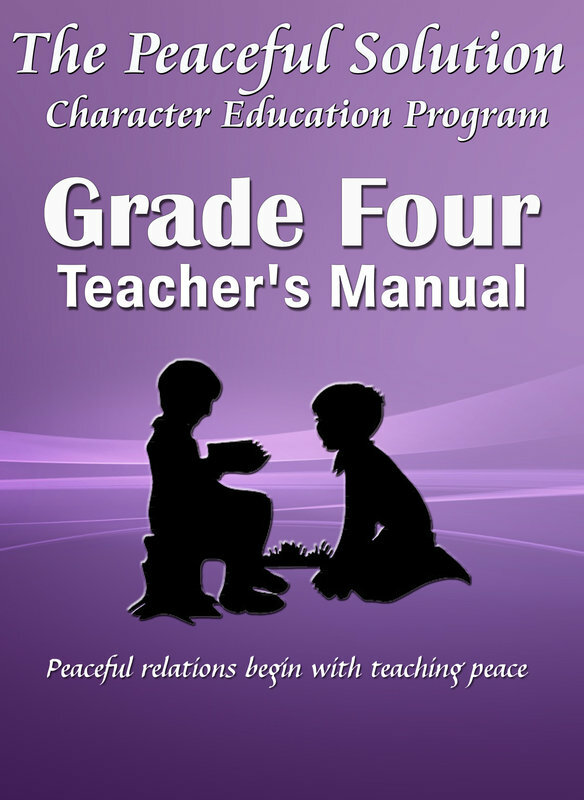 The Peaceful Solution Character Education Program delivers all of the above in a powerful format. The Program advances character-building skills by exploring the rights of ownership and privacy. A great deal of discussion and character comprehension is woven into the narratives and questionnaires to help nine year olds make sense of right and wrong behavior. Educators appreciate the comprehensive material as a springboard to meaningful dialogue between them and their students. “Sticking with” positive character development, as presented in The Peaceful Solution Character Education Program, along with “determined effort” over the months ahead, will better prepare your students for pre-adolescence. · Contains 1 Teacher’s Manual and 1 Audio CD. Student Workbook sold separately. Discover how The Peaceful Solution Character Education Program can give you the tools you need to be a positive, guiding influence to the grade four students you know and care about.